In keeping with its commitment to innovation, Ortlieb has just introduced another PVC-free line of products made of a polyurethane-coated polyester fabric. The base fabric of the products in the Free Line is coated with polyester fabric. The base fabric of the products in the Free Line is coated with polyurethane in a manner that ensures lasting waterproof qualities. The result is a waterproof and durable canvas material that is as outstanding as the conventional Ortlieb canvas material when it comes to durability and service life. The products in the Free Line are available in classic black and two other appealing colours. The PVC-free version of the proven Ortlieb Back Roller was developed for cyclists and outdoor enthusiasts who would like to avoid PVC entirely. 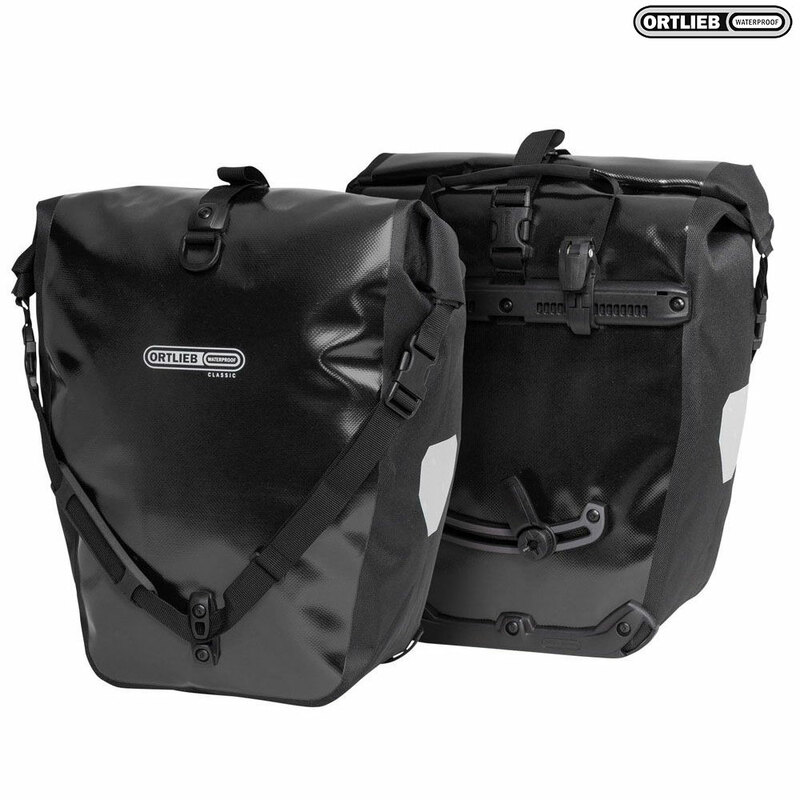 This rear pannier bag with a roll closure offers ultimate practicality for all of your bike tours and weekly grocery-shopping ventures, especially on account of its generous payload. Thanks to its waterproof exterior, easy-to-clean interior and shoulder-bag function, the Back-Roller Free is ideal for all who would like to use their bikes despite having things to carry. With the Quick-Lock 2.1 system, the bags attach to any bike rack with a tube diameter of up to 16mm. Larger hooks (e.g. for e-bikes) are available seperately.